This trip I actually did more knitting than I expected to – I don’t tend to knit on planes, because I don’t feel comfortable and I’m usually sleeping anyway! But I did do a fair amount on the shorter inter-island flights, while waiting in the airports, and in the car. I hoped to get this done, blocked, and photographed while in Hawaii, but that might’ve been a bit ambitious considering that I started it while I was there and had only 2 weeks! It’s still not done, but nearing the end. And I’m hoping that I’ll get away with using just 2 balls of Koigu. That colour is serious, serious perfection! Can’t wait to see the finished product – love the pinky pink. I always get over ambitious and plan to finish more than is possible. It’s a crafting sickness I think. that looks like it might turn into a laminaria to me. or maybe another lovely personal design? So pretty! the tropical colours are lovely. I’m loving it, can’t wait to see the finished project! 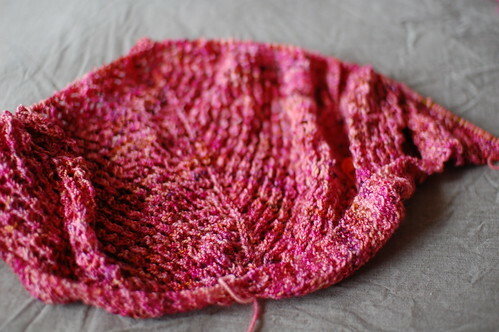 I have 2 skeins of Koigu in stash that just might work for my own version, once there’s a pattern…hint, lol! 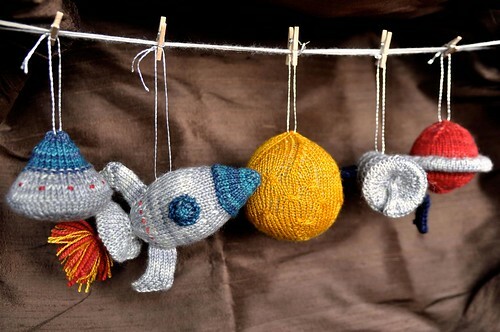 I love the idea of small skein projects, so I’m looking forward to seeing this one.